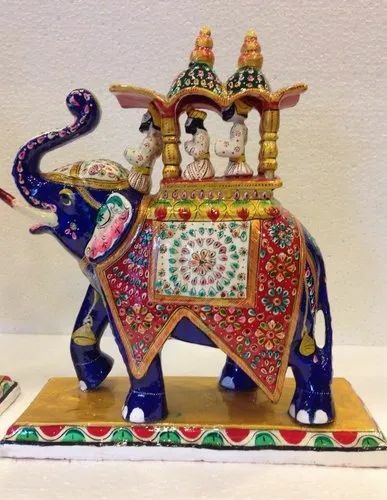 Leading Manufacturer of metal elephant, meena painting elephant, ambabri elephant, meenakari elephant statue and meena panting elephant from Jaipur. 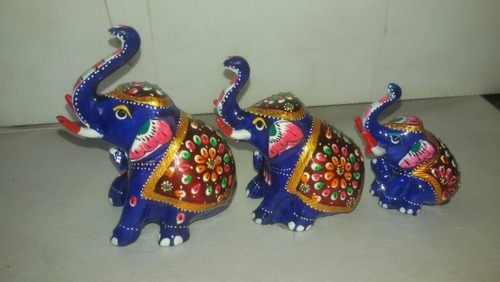 We are manufacture of Metal product and we have also available in different sizes & different work we have elephant cow horse tortoise and many design in elephant. 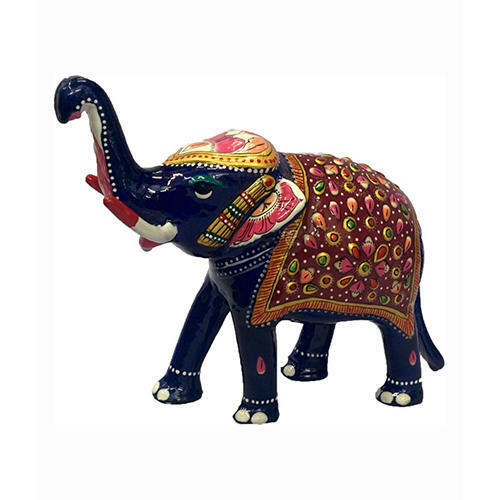 We are among the well known companies in the field of manufacturing and supplying MEENA Elephant panting Statue. Our product range are manufactured and designed by using high grade quality materials which sourced from certified vendors. 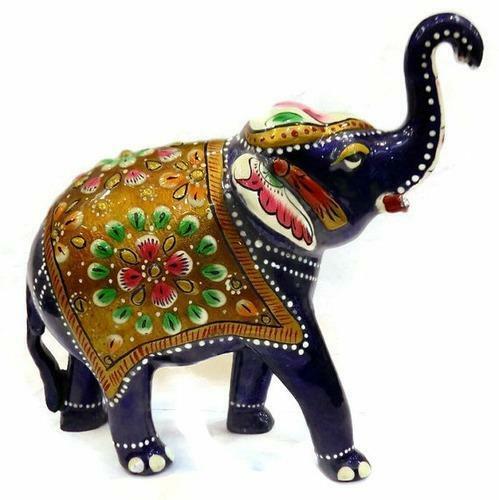 We offer these meena elephants in attractive designs, different sizes and nice patterns to meet the exact requirements of dear clients. To add on, these are available at nominal prices to our customers. 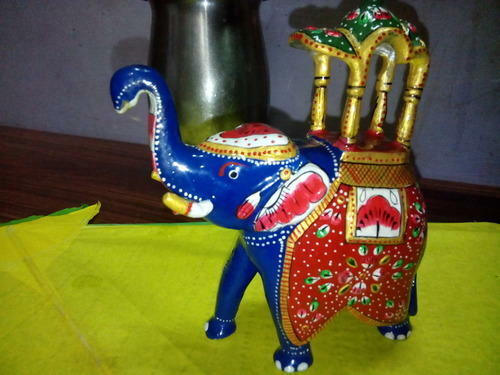 This design use in home decoration and gifts unik gifts . 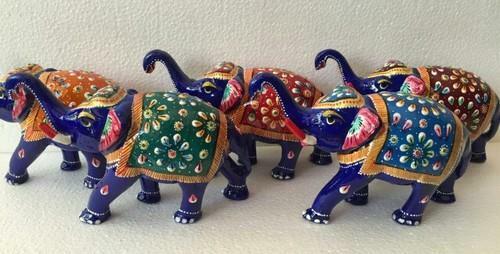 I have available 4" 5" 6" & 8" inch size and and colore available in blue ,black and white colore and more changes in customers requaried.